Nissan has previewed its 'Teatro for Dayz' ahead of a reveal at the 2015 Tokyo Motor Show. 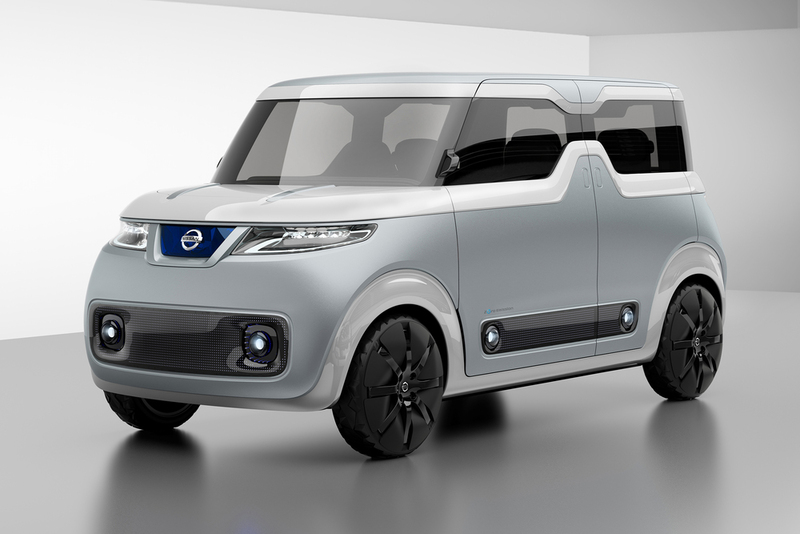 The innovative concept signals a new direction in mobile technology according to Nissan. Designed especially for the 'digital native generation', this vision of near-future vehicles 'departs from convention and marks a shift in perception'. Nissan describes the target group as 'share natives' due to the nature of sharing on social media. 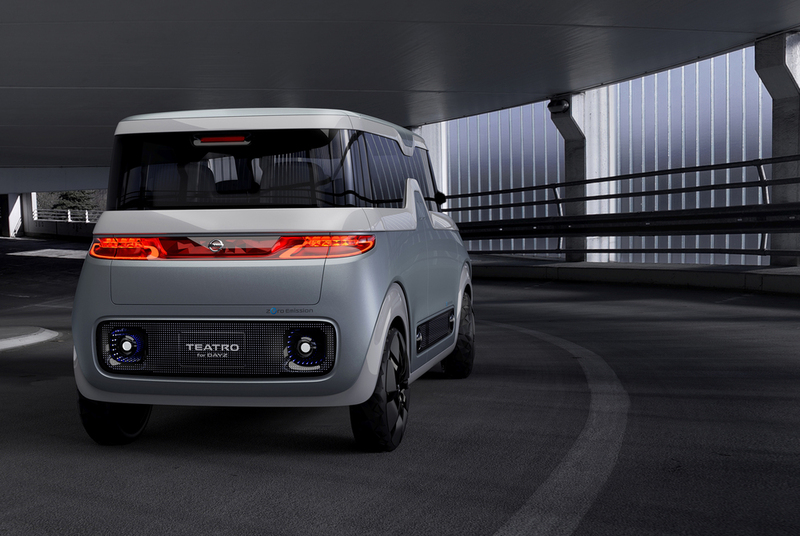 The Teatro for Dayz is a combination of mobile technologies unlike any previously imagined in a car. Nissan's research indicated that minicars will be the vehicle of choice for share natives. "In addition to being compact, minicars remind them of the handy mobile devices they carry in their pockets," says Product Planning General Manager Hidemi Sasaki. Electric Vehicle (EV) technology is a must for this generation. "Share natives are already accustomed to recharging their devices at home, so EVs fit their lifestyles far better than cars that require regular visits to a gas station." With a driving range ample for short commutes, the concept can serve as a giant mobile battery, which can be used anywhere to recharge mobile devices. Sasaki says that Nissan has identified some common car interests among share natives. "First, they tend to look beyond the car's basic role of transportation. They want a car to be a versatile tool for creativity like a smartphone. This is different from customising a car. It is more like the ability to modify a car to meet their mood at that moment. Share natives will use cars in ways we would never imagine. So we thought from the perspective of designing a car that would serve as a canvas for their inspiration." From concept to interior and exterior design, the Teatro for Dayz is described as a simple, clean canvas. When the car is in drive mode, meters, controls and maps appear on a pure white instrument panel. As information illuminates on the white instrument panel, the driver can freely adjust the size and position of the meters, gauges and car navigation information on the instrument screen. Unnecessary information can be hidden. When parked, the concept transforms into an entirely new device. The whole interior, starting with the instrument panel, becomes a live display for a generation wired for connectivity. The interior's design can be changed to match the look to the season, as can the exterior. Externally it is fitted with LED screens that enable further self-expression, with any experience in or around the car able to be shared instantly via an onboard camera. The solid white interior suggests infinite possibilities for display, as technology evolves and share natives contribute ideas through feedback, the variety of ways the interior could serve as a 'digital native theatre' will expand, says Nissan. The Tokyo Motor Show opens to the public on October 30 to November 8.